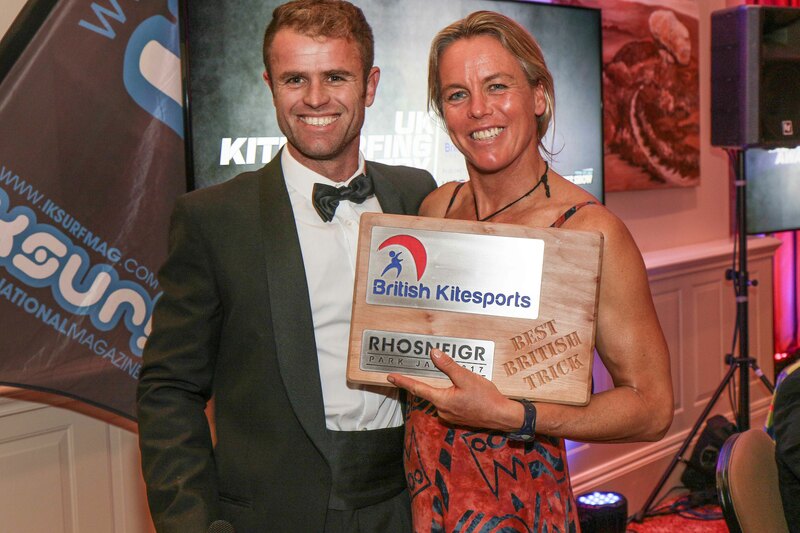 The glitziest night in the British kitesurfing calendar (and probably elsewhere!) 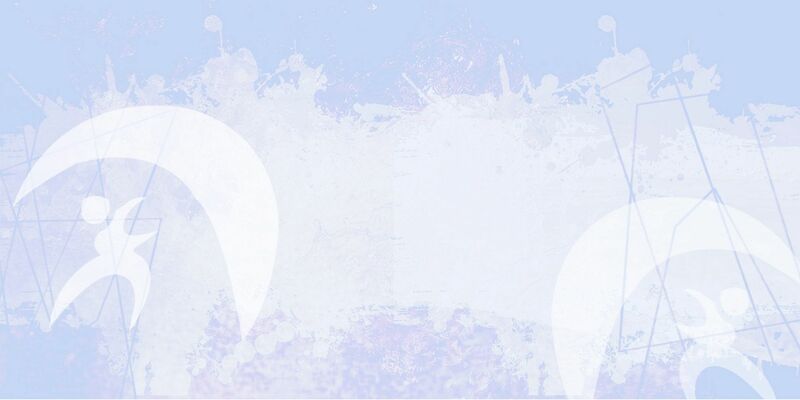 returned in October! 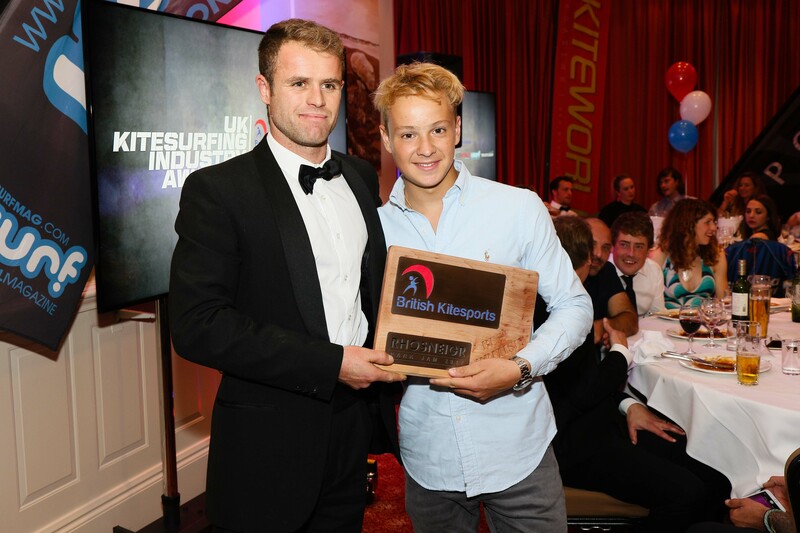 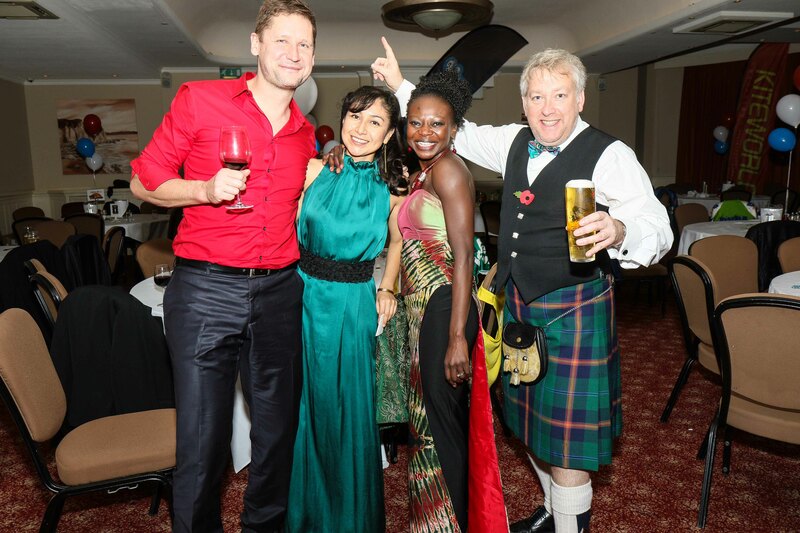 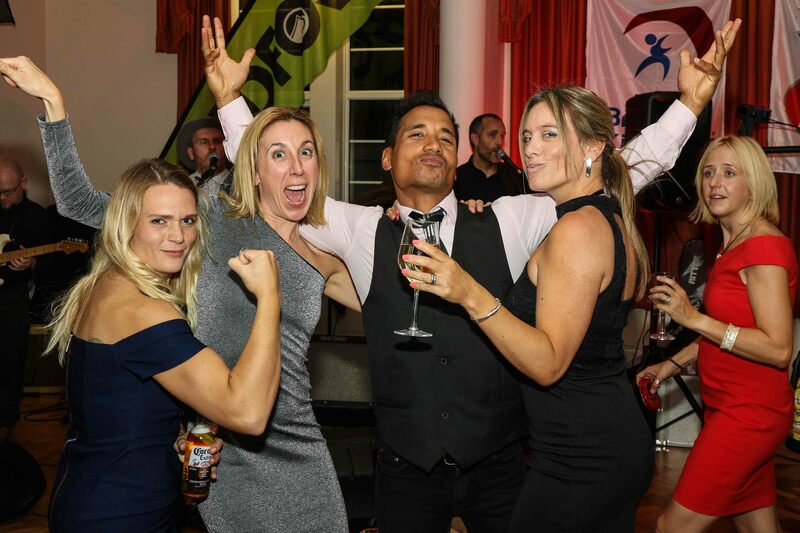 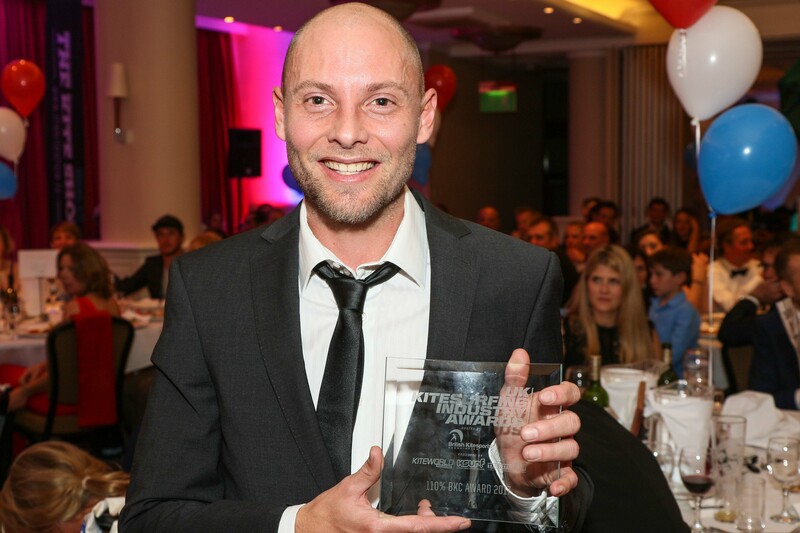 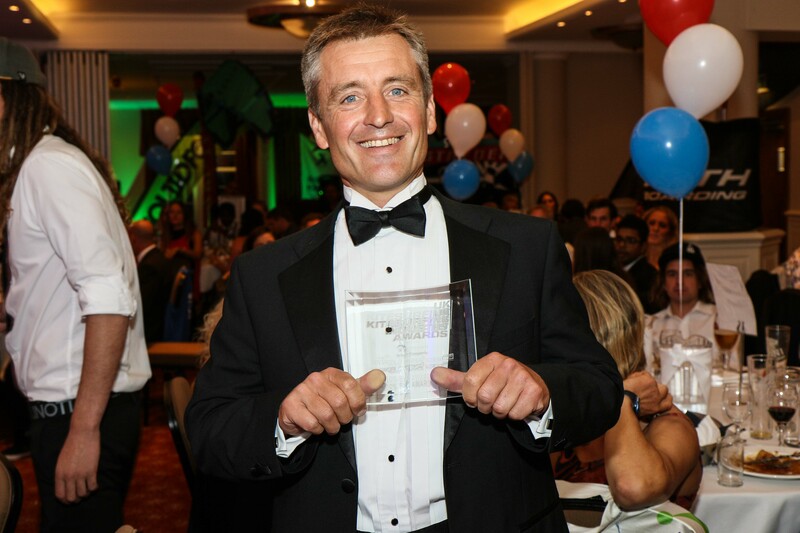 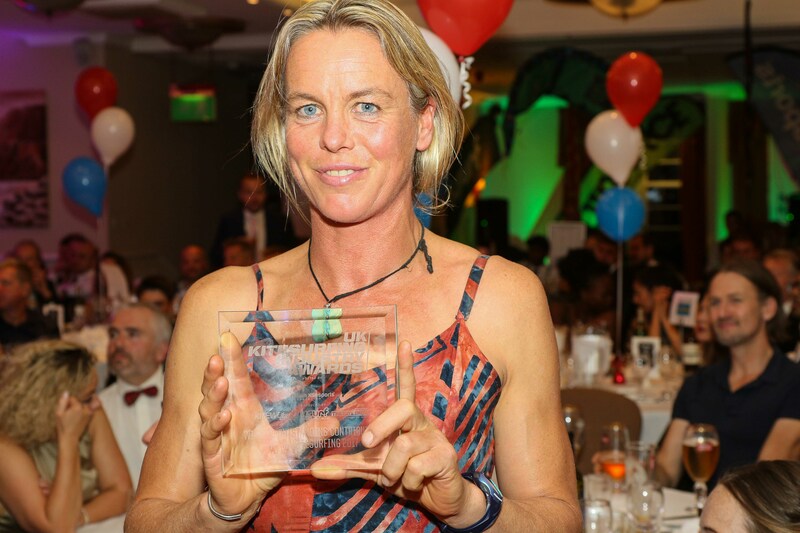 The third annual UK Kitesurfing Industry Awards took place at the BKSA ball in Poole at the end of October. 150 people enjoyed a three course dinner, before the awards ceremony – organised and run by Kiteworld, The Kite Show and IKSURFMAG – were handed out and the after party started and continued long into the night. A couple of weeks earlier the Rhosneigr Park Jam once again attracted the world’s best park riders for the climax of the Kite Park League tour to Rhosneigr in North Wales. 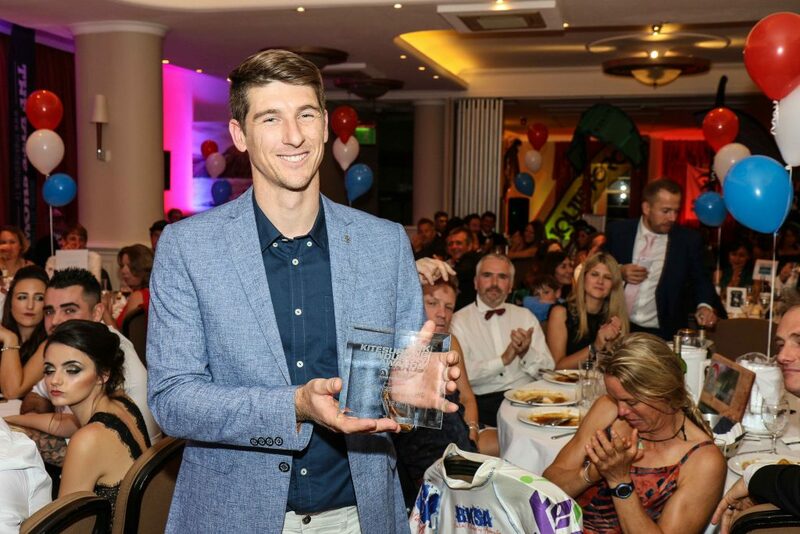 Organiser Ben Todd had two special awards that were announced on the evening, for Best British Rookie (won by Max Bartholomew) and Best Trick (won by Tom Bridge and collected by his mum Steph Bridge as he was in Brazil). 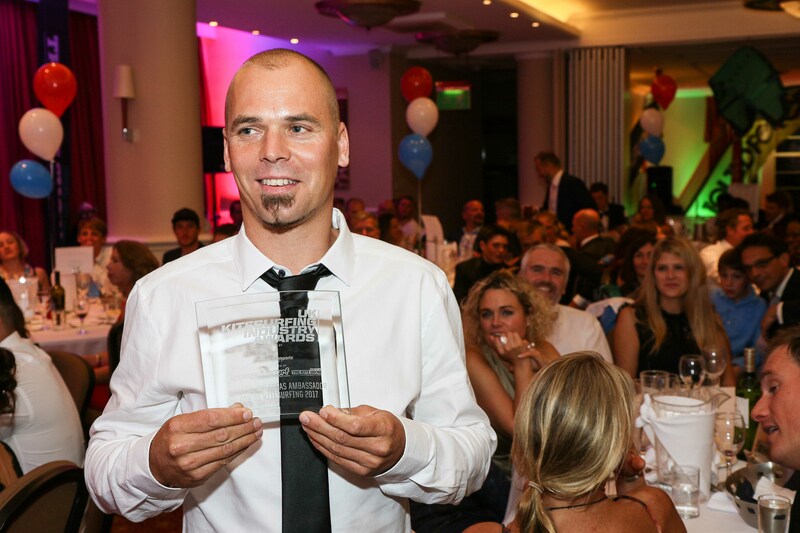 Thanks also to MC Lewis Crathern who hosted the night and and staged his classic kitesurfing quiz. 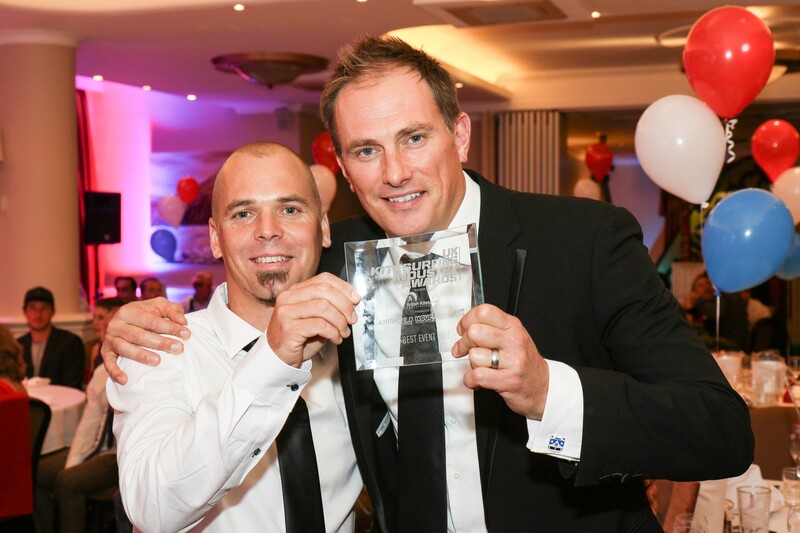 Finally, Lewis and Dan from the Kitesurfing Armada ran the raley / handle-pass coin toss game and raised £600 for the Armada Trust charities.